Drop the Doritos. Cue the kale chip. At these universities, “health” is more than just a motto; it’s a mantra. Students question the very humanity behind instant Mac & Cheese. Instead of late-night snacking, you’ll find them gardening, surfing or preaching the healing virtues of downward facing dog. It’s not just a campus; it’s a health haven. 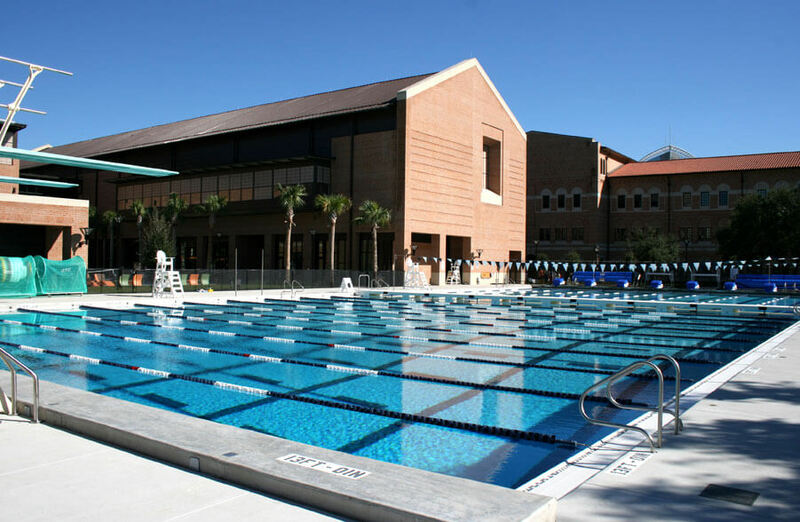 UCLA has got it all: state-of-the-art fitness facilities, exceptional sports teams (the most decorated athletic program in NCAA history with 109 championships), a winning health center and healthy dining options. Best of all, you don’t have to be a gym rat to get fit. In fact, you don’t have to go to the gym at all. 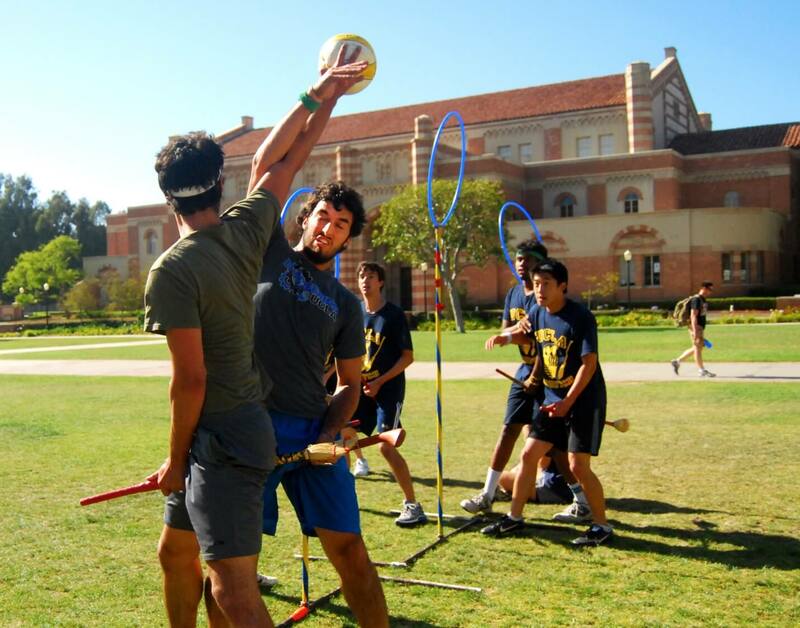 The campus sponsors nearly 80 club and intramural sports, including Quidditch (Harry Potter, anyone? ), surfing, juggling and sailing, just to name a few. Not to mention the southern California climate gives students a no-brainer alternative to the treadmill. UCLA junior Ashley McQuerter was blown away at the options. “Freshman year, my friend and I would go to rock climb Thursdays, and that's something I never expected,” she said. 'BOG' Reaps a Bounty of Fresh Produce for Dining Halls from Bowdoin College on Vimeo. For a healthy foodie experience, apply to Bowdoin. The dining hall menus features cage-free eggs, mahi-mahi, roasted red pepper tomato soup and a Greek hummus wrap. You may not think it could get more gourmet than that, except it does—many of the ingredients are grown in Bowdoin’s hipster campus garden, where students grow more than 25 edibles (including spinach, cherries, watermelon and even mustard). The crops are washed and sent directly to dining halls. According to garden manager Sara Cawthon, “We try and focus on greens for the salad bars at three different dining locations… head lettuce, chard, beets, kale, basil and cut flowers….” The dining hall uses all of it, and five percent is donated to the food pantry in town. Yale blew us away with their top-notch facilities. I mean really, a campus golf course? Sailing center? A private rink? How about this 1,500 acre outdoor education center nestled along the shore of a pristine mile-long lake. There are cabins and campsites for students to rent for hiking, picnics, canoeing, fishing or swiming. 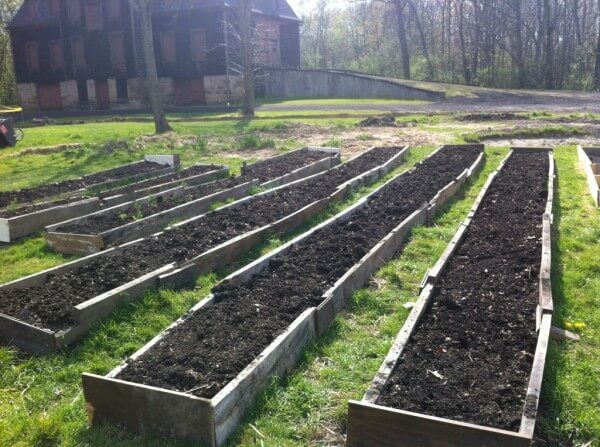 Surprise, Yale also has a sustainable food farm they’ve been working on since 2002. Their teaching garden produces hundreds of varieties of vegetables, fruits, herbs and flowers and is home to free-ranging chickens and even honeybees. 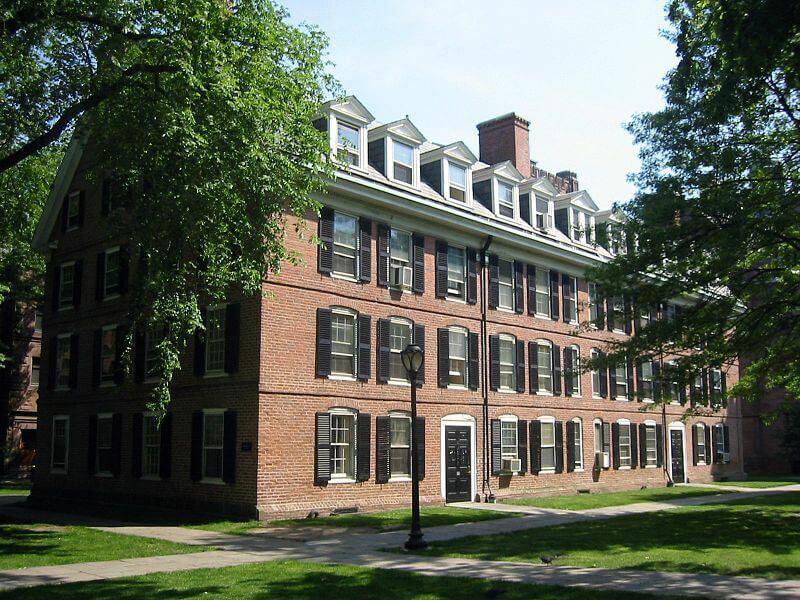 “The dining hall food is amazing,” said Lauren Oyler, recent graduate of Yale. “Most students—even those who move off campus (not very many people do that)—have a meal plan and it's very easy to eat healthily on it … All the food (well, almost) was clearly labeled with ingredients, calorie counts, nutrition facts, etcetera, which made it easy to know what you were eating.” Oh, and it hosts the world’s leading and largest global health conference. We know all the exercise in the world doesn’t matter if you down McDonald’s post workout; that’s why Wheaton is dedicated to an impressively fresh dining program. Weekly, Wheaton chefs whip up 120 gallons of fat-free plain and assorted flavored yogurts using milk sourced from a local farm. The cheese used on pizzas is local and grated by hand, and dining hall burgers are made with local beef and turkey. If you’re feeling under the weather, Wheaton offers a free shuttle for students to get to and from off-campus medical appointments. 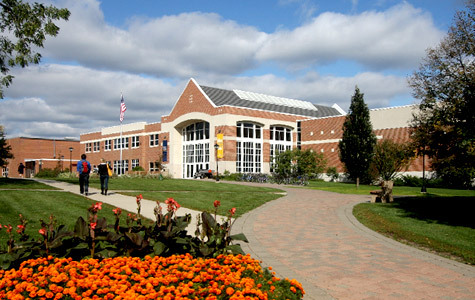 Plus, in 2000, Wheaton spent $15 million on a new rec facility (and man, is it nice) in hopes of balancing the school’s academic demands with healthy living. Boston’s health education classes are unique in that the university offers more than 100 per semester, including all types of dance, beginner’s rowing and even classes for cooking healthy on a budget. 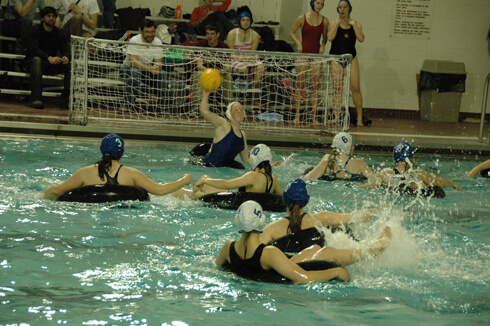 They also have an impressive list of club sports, including unique options such as kendo (a martial art similar to Japanese fencing), Kung Fu, synchronized swimming and ski racing. 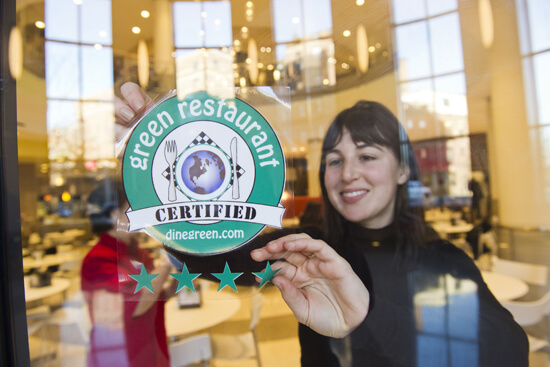 BU is the first university to receive four-star ratings from the Green Restaurant Association for its attention to purchasing decisions, smart food choices, waste reduction and diversion in dining halls. They have a “Make a Difference Monday” day set aside across campus for local, organic and sustainable foods with a low carbon footprint. 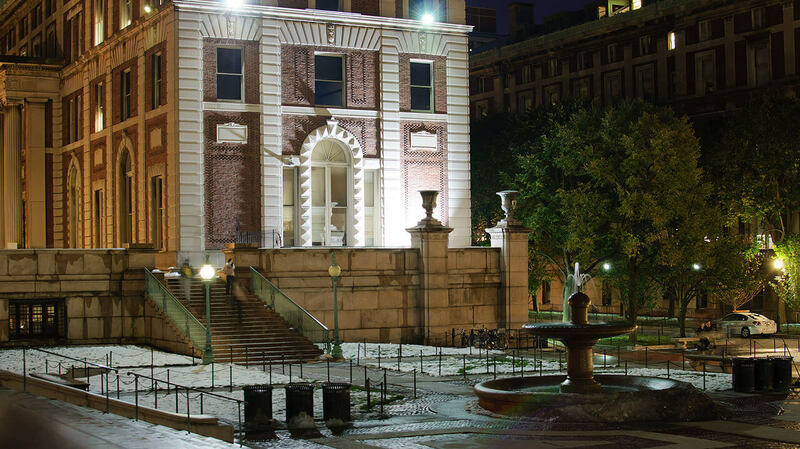 Undoubtedly the most impressive thing about Columbia’s overall healthiness is its popular program “Go Ask Alice,” created in 1993 as an online Q&A service. It involves a team of CU health promotion specialists, health care providers and other health professionals answering difficult health questions. In the past 10 years, the program has grown tremendously, receiving nationwide attention including MTV features, two published books and syndication in campus newspapers across the country. Also, their free program, “CU Move,” gives students resources and tools to set fitness goals and monitor progress. The initiative promotes healthy living with motivational email updates, incentives like fitness gear and free or low-cost events such as walks, runs, ice-skating and kayaking. According to Oberlin’s website, “The dining halls at Oberlin College do more than feed students, faculty, and staff.” Campus meals are provided by nearby farms, dairies, ranches and aquaculture ops. Oberlin’s Farm-to-Fork program uses five local farms to supply food for students, promoting fresh ingredients and supporting the local economy. The dining hall staff is also dedicated to using animal proteins free of hormones, cage-free eggs and socially aligned coffee choices. Foods are labeled for students with icons indicating low carbon, certified organic, gluten-free, house-made and farm-to-fork. Not to mention the student-run Johnson House Garden gives students the chance to grow crops that go straight to students’ plates. If you're health obsessed, CampusMD can keep your health in check. It's an online medical service tailored to college students. Subscribers can call board-certified doctors via video chat 24/7 without appointments. CampusMD provides the same benefits as in-person doctor visits, including prescriptions and doctor’s notes. Take charge of your health. Follow @CampusMD on Twitter or Instagram for the latest health buzz. *Updated September 8, 2014 with new photos, health links and university rankings.